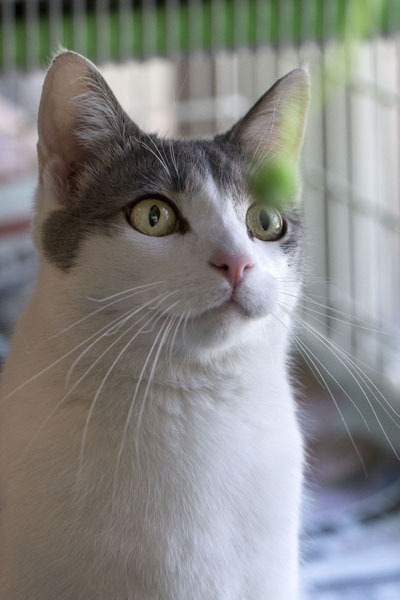 Are you a fan of handsome, affectionate, and playful kitties? 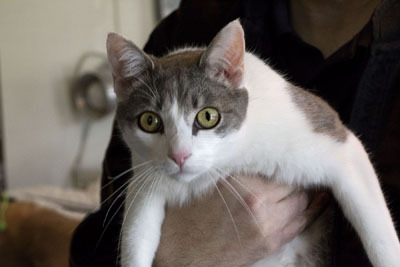 Then come down to Cat Guardians and meet Leyden! This wonderful boy is still a youngster at only two years old. He is a glorious white and grey tabby that was found as a stray in Leyden Township and is now ready to start his new life. He gets along well with other cats but we are unsure about his history with dogs. Leyden likely would do well with gentle and respectful children.